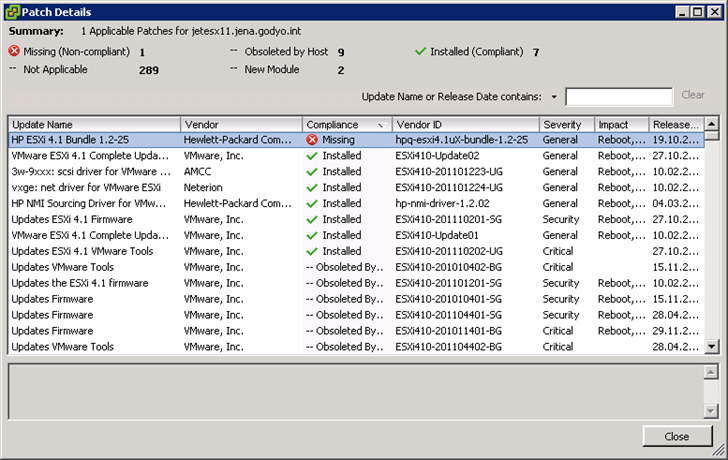 In my example the HP ESX4i offline bundle version 1.2-25 will be uploaded into the VUM repository. 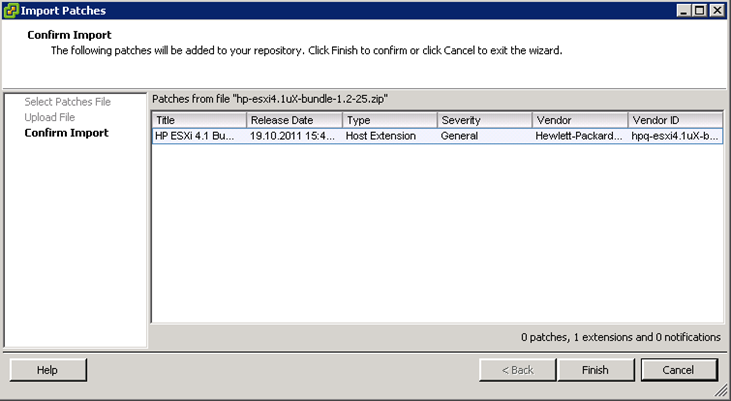 This version is necessary for ESXi 4.1 Update 2 when running on HP Proliant servers. The hp-nmi-driver is also relevant for proper Purple Screen of Death (PSOD) handling when running on Proliant hardware. Just confirm the version uploaded and you’re ready to apply the patch. With the new patch in the repository it should show up when checking the host for new updates. In our case here, the host was just upgraded to ESXi 4.1 U2 and only the offline bundle is missing. 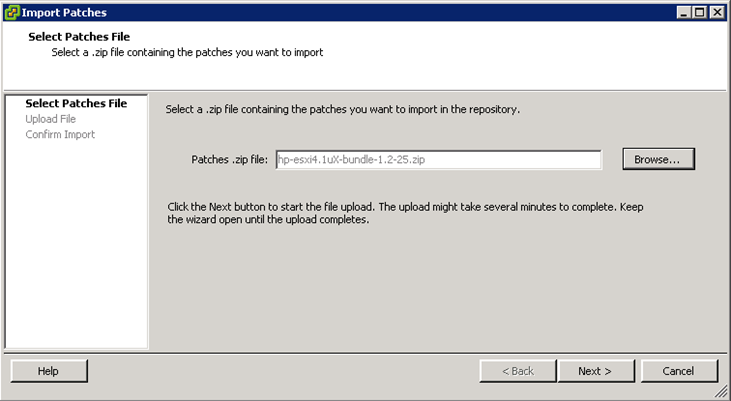 When the Remediate process has completed the new versions are reported by esxupdate command.